It is finally here and it is now official. 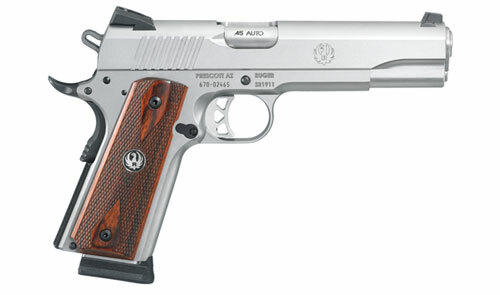 Rumors have been roaming around for years that Ruger is making a 1911. These rumors started way back even before Ruger considered making one. Back in November 2009, the first discussions started among the engineers. Through extensive work and planning including 1000s of interviews through the “Voice of the Customer Program” the specification was put on paper and the project set in motion. Michael and I were down at Gunsite in December 2010 along with a handful of other representatives from the Outdoor Media and were introduced to the first production guns.